This week we have see a large factory burning in Spain leaving more than 200 workers with no job, although luckily there were no casualties. 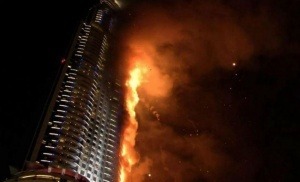 We have also seen a skyscraper in Dubai in flames endangering its residents and the surrounding buildings, luckily there were no casualties either. Fires do not have to leave any death to be devastating. Many people may be affected without losing their lives along the way. In addition, the economic damage they cause can be incalculable. That is why we want to raise awareness to both administrations and private companies, about the need of the fire protection systems in industrial plants, buildings, houses, etc.